everyone will be entered into a drawing for a Free return play pass! $15 pay as you go per family or use your visitor passes/ monthly unlimited. 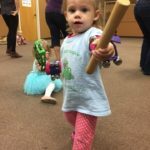 Come join us in our Irish song and dance the jig with us! Come enjoy time with your family and friends! 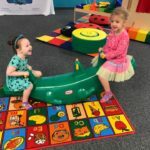 Along with the open play of endless fun sensory play provides extra social interaction, cognitive growth, fine and gross motor skills, and language development! Weekends are a great opportunity to schedule meet ups and connect with friends, invite a friend from your child’s school and get to know their parents in our relaxed playful atmosphere! We are happy to add these special times, as our schedule permits. Welcome! Regular rate apply! $15 per family or purchase discounted return visitor passes and monthly unlimited options. As always bring your lunch to enjoy and remember adults are required to wear socks! If you forget, we sell socks for $2 a pair. Thank you! We look forward to seeing our weekly friends and making new friends too!